Mission — Critical Practices Inc.
CPI, founded in 2010 and incorporated in 2012, was established to support the emergence and development of new practices within the field of critical cultural production. We believe that the producers of critical culture are a community whose needs for peer discourse and engagement are underserved by current institutional conventions. Operating outside of normative models of institutions and marketplace, CPI employs the common objectives, goals, and concerns of this diverse community of producers as its point of departure to create a dynamic network and platform for the inter-action of the diverse points of view necessary for shaping and sustaining critical, theoretical, and artistic practices. CPI is engaged in building Projects, Programs, and Platforms that are portable, and non-proprietary. This represents our commitment to creating a type of open source modeling and to be emulated and replicated. CPI has an auspicious genealogy. Former artist (now Critic and Curator) Saul Ostrow has occupied the loft space at 162 West 21st. Street since 1974. When he first moved to Chelsea, he shared this space with Rick Witter who worked for the gallery OK Harris, and the photographer Larry Topper. In the 1970's during the winter months, "Sunday Salons" were held at which participants would show films give slide presentations or talk on topics of interest, as well as drink tea and coffee, and mingle. Annually two Parties where held: one in the Fall, celebrating the beginning of the art season the other in late June marking its end. By the end of the 1970's, Larry Topper, and Rick Witter had moved out and the “Loft.” For a year or so, the artists Diane Mayo, Rex Lau, and John Wallace occupied it. In 1979, Saul Ostrow moved back into the Loft and through the 1980's had a succession of roommates that included Jack Tilton, Donald Lipski, Muna Tseng, Eric Bass, Tseng Kwong Chi, and David Clarkson. Between 2003 – 2005, it served as the studio of the painter Shirley Kaneda. In 2006, Ostrow moved back into the Loft. In 2011, an exhibition of works from the 1968-70 by the painter Don Dudley, was mounted for his 80th birthday party. With this event the 21ST.PROJECTS program was founded as a by-appointment-only project space. 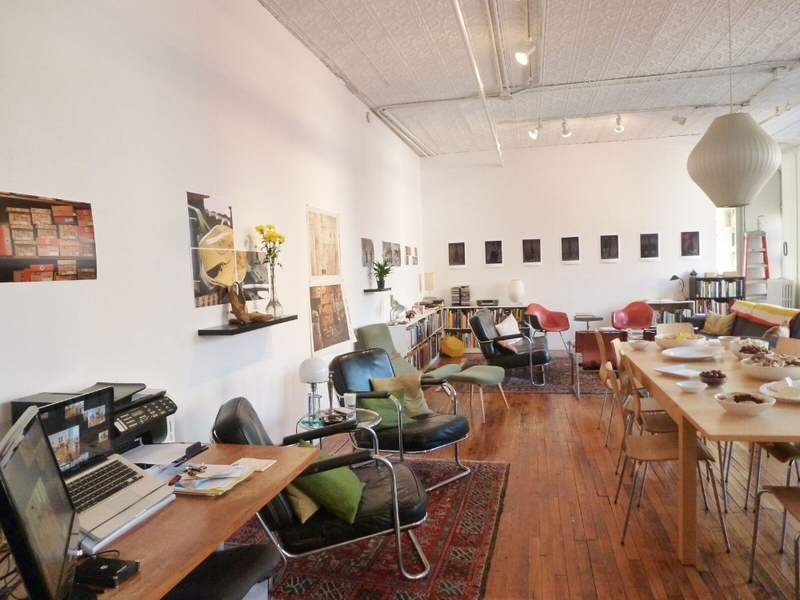 The "Loft" at 162 W. 21st - The current home of Critical Practices Inc. and ongoing programs and artist viewings and events.